A recent announcement brought the good news that a new Educational Edition was being released. This is basically the Community Edition, but with built in training that uses the IDE features to build up your knowledge. The screenshot below gives an idea of how this works (click it to make it bigger in new window). The top left window shows the different lessons and tasks within, which come in the form of real Python scripts. Above the script editing window on the right is a brief and to the point explanation of a different concept with instructions on how to update the presented script further below. I love a hands on approach to learning new topics and this fits the bill rather well. You read the information, you follow the instructions and then click the tick box for feedback on if you have done it correctly or what you have done wrong so you can have another go or move on to the next topic. I am also excited about the concept of other people creating learning courses that are available to the entire community using this tool so knowledge can be shared openly and freely, and usable offline too. You can download this version of PyCharm here. 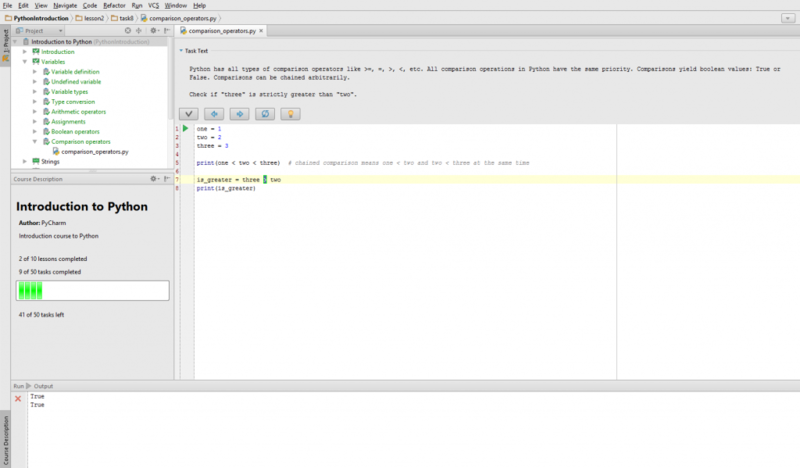 PyCharm is a very user friendly IDE for Python programmers. The Educational Edition is a brilliant way of giving people professional tools to learn a subject on which should help them progress to Python Jedi in a much shorter time frame. In a bid to make networks more redundant, we’ve traditionally thrown more paths in to the mix so should one of them go down, traffic can still flow. In a basic layer 2 network, this would utilise Spanning Tree Protocol (STP) to ensure a loop free topology,meaning some links went unused, wasting available bandwidth. Etherchannels using stacked switches, VSS or vPC on pairs of Nexus switches allow all links to be used. Equal Cost Multipath (ECMP) can do a similar thing at layer 3, allowing multiple equal cost paths to be selected for routing. Multipath TCP is a backwards compatible modification to TCP that allows multiple connections between hosts at layer 4. Because this is at the transport layer, these connections can be sourced from different IP addresses e.g. your wired and wireless NICs simultaneously. 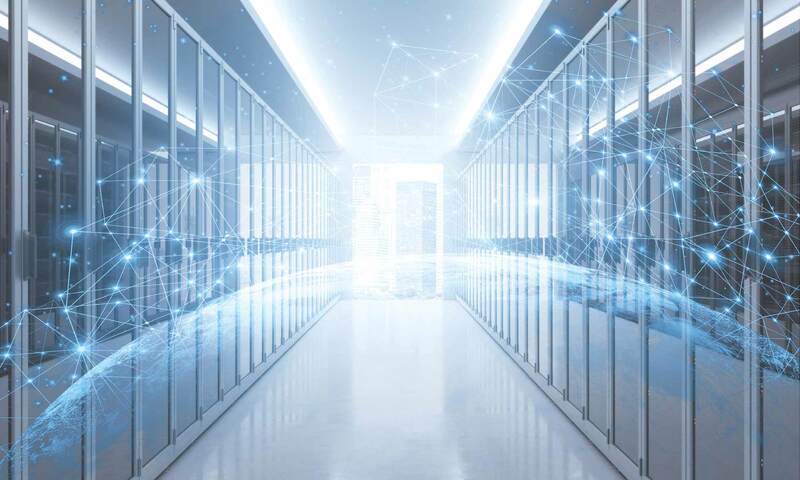 A key benefit of this approach is that you can have multiple links being used for the same TCP connection, increasing overall throughput for the same TCP flow. Links can be added or removed without affecting the overall TCP connection, which makes it ideal for mobile use, combining a Wi-Fi and mobile network. It has uses elsewhere too. As opposed to an Etherchannel, which will only allow a TCP flow across a single link, Multipath TCP will allow a single flow across multiple interfaces, so this will likely become more popular in the data centre. Multipath TCP is one of those “why didn’t we always do it that way” technologies but it will also be interesting to see if it sees wider adoption than the use cases outlined above. See here for the RFC. I recently made a full commitment to study towards the CCIE Routing and Switching v5 written exam. The primary reasons for this are to refresh my certifications but far more importantly, to update and build upon my current skill set. It is key to me that I don’t just pass the exam but deep dive in to each and every subject on the blueprint. If I am successful in both these goals, I will then have a decision to make on whether to go for the lab, but that isn’t on the road map at this stage. This post isn’t about the exam itself or even the material in the blueprint. Rather it breaks down what came prior to starting the very first ‘official’ study session as I feel that this will have an important impact on my success and general enjoyment of the learning ahead. Personal life. This is the one I hear takes a lot of people by surprise. You might be lucky in that you can do all the studying you want at work or you might have so much spare time that fitting in 10-20 hours of study a week only impacts your TV watching schedule but most people will have to make some serious compromises. You will certainly need to consider cutting right back on your social life, even giving up going out at all for a period of time. There will also be a toll on those close to you so make sure you have the full support of your family and friends. Especially with family, make sure you explain to them just what lies ahead so that they can adjust too. From a health point of view, you probably don’t want to start a CCIE track if you are recovering from a serious illness, or if you have a medical operation due in what would be your study period. You most likely don’t need that kind of extra stress in your life. You need to ensure that you have all the relevant training materials to hand, maybe not at the outset but certainly as you get to the section of your training that requires them! What those materials are will depend on a number of factors including your preferred learning style, budget and current knowledge. Some people love text books, workbooks, videos, labs, online resources, classroom training or any combination of these. Whilst it is important to have the right materials, I would be cautious of having too many. You need to review the blueprint for both the written and the lab and work out what materials will give you the best chance of understanding the topics on each and passing the relevant part as comfortably as possible. Reading five multicast books may give you an unprecedented understanding of the subject or it may waste valuable time when you largely read the same topics written in different styles, where one really good book on the topic might suffice. Read what other people are saying about their materials and if you can, actually speak to people who have gone through this before you. Some people like to set a date in their head from the outset e.g. “I will pass the written in three months and sit the lab 12 months later”. For me, I am happy to be a little more relaxed. Remember from my opening comments that I am initially only studying for the written at this time and the primary reason is to renew my knowledge, so I have no specific deadlines. Having said that, I still have a rough plan outlined for getting through each of the six modules, have all the official materials which I will be supplementing with online resources as I tackle them and have set expectations with my family. I am aiming to do between 10 and 15 hours a week. I’ve spent a long time thinking about the CCIE. When I first passed my CCNA, it was at the forefront of my mind and remained so for quite some time afterwards. Having moved about in my career since then and gained a wealth of experience in different technologies, I think I’ve done the right thing waiting until now. All the things listed above have come together at the right time. I will review whether I will take a shot at the lab at a later date. I would love to hear from readers who are either thinking about doing their CCIE, are currently on the path or have already achieved their digits. Leave your comments below, hit me up on Twitter, or send me an email. The 10 tenets of working in IT series originally started with a post on PacketPushers back in 2012. I got a good response to that and when I was writing it, I had envisioned breaking out each tenet to its own post. This final post in the series covers off how to review. Not just reviewing the other tenets from time to time but review your tasks, your career and your life. Reviewing is all about taking a look at where you are in your big plan. This will only be effective if you have set yourself goals. Whilst these targets can move and change based on circumstances, both within and outside your control, adapting to these changes is going to be more effective if you go through a regular review process. Don’t micromanage yourself though, which will usually end up being counter-productive. I find that setting goals, breaking them down in to tasks and putting time scales against them makes it an easier job for me to keep on top of them and setting a regular review session, the frequency of which is usually determined by a combination of the end date and priority. It’s also important to review your career progress. Have you been so heavily focussed on your current role for such a long period of time that you’ve missed opportunities to progress, either upwards or outwards? It is important to take a look down from a higher altitude to see what is on the horizon and potentially beyond. The same goes for keeping a track on life in general. How many workaholics, highly successful career people, have sub-optimal personal lives because they apply all their energy to their careers and come home with nothing left in the tank? Sure, there are times when you know giving it 110% at work is going to pay off down the line e.g. pulling a project out of the disaster bin, and a compromise at home can be agreed with all parties, but if these periods extend for too long unchecked, things can go awry over time. Treat your career and your personal life like a prized network; monitor, be proactive, tweak, capacity plan and get feedback from its users. The last thing you need is an outage. It’s all very well having a solid plan of action with the skills and behaviours to see that plan through but if you don’t take a step back every now and again and review what you do, what needs throwing out and what can be improved, you may find yourself not achieving your full potential. Keep challenging yourself, measuring progress and moving forward. I hope this series has been useful to you, at least in parts if not in its entirety. Feel free to get in touch or drop a comment in on the blog. In keeping with the topic of this post, I’ll try and keep it brief and to the point. What is it that separates the winners from the losers? The people who seem to be continuously increasing their knowledge from those who struggle to keep up? Those that seem to climb the career ladder with ease from those retiring from the helpdesk after an ‘illustrious’ 30 year career. This post looks at a key differentiator. The ability to focus is a skill that takes both time and commitment to learn. Think of it like a leaky bucket, you can fill it up quickly but every now and again, you will have to top it up to stop it emptying. In between where you are now and where you want to be is a journey. It could be a metaphorical walk in the park or it could be a inter-continental saga. Depending on how big a task you have set yourself, you need to plan accordingly. What will you need to get to the end, what milestones can you use to keep yourself on track, how will you measure your success? In the interest of brevity, that is basically it. Make sure steps 1 and 2 give you a true understanding of where you are and need to be. This is the cornerstone to good planning. Step 3 is a recursive step to keep yourself right as you head towards your final destination. Take a good look around once in a while. Have you become too focussed and let other things slip? I’ll be the first to admit that I sometimes take my foot of the gas, or get drawn away by distractions. Having said that, when I want something or I need to get something done, I know how to focus and apply myself for sustained periods of time and when to take a break to maximise results. I was first made aware of an issue when the hosting provider where I host this blog at were tweeting apologies on 12/08/14 for an interrupted service and I later received an excellently worded apology and explanation from them. A couple of colleagues also got in touch later that evening with reports from further afield. Where the 1000 is the number of 1K entries i.e. the setting as shown in the first output would be 512. Typing a ‘?’ instead of the number will return the maximum available on your platform, so you could in theory be requiring a hardware refresh to add to your woes. There is an ongoing debate at the moment about whether Cisco are liable or the service providers. I would argue that it is predominantly the latter but Cisco could have done a better job of advising their customers. Cisco did post an announcement about this on their website a number of months ago, but I didn’t spot it so I’m assuming many other customers didn’t also. Having said that, if you buy a bit of kit to do something, you need to take some responsibility for failing to include capacity planning in to your operational strategy. As those of you who use Wireshark regularly will probably know, the developers announced a big change that was on its way back with the release of 1.11.0 in October 2013, that change being they were switching the user interface library from GTK+ to Qt. I believe this decision was arrived at to provide a more standardised feel for the app across multiple platforms. Also, support for GTK+ was waning. When you install version 1.12.0, you will also get the option to add start menu and desktop icons for the version 2 preview. Upon opening the preview, the word that immediately sprung to mind was ‘clean’. It’s much less cluttered than the current version. In fact, it takes a little getting used to, but that’s change for you. Overall, I like the new version. As expected, there are a couple of bugs I’ve found that I’ll be feeding back to Gerald and his gang, but this definitely feels like a step in the right direction. I am currently in the process of moving my domain to a new provider. Obviously, I am hoping that this will all go exactly to plan without any downtime, but please bear with me should the site go down at all. Site has now been migrated with only a couple of minor hiccups. If you find any issues with the way the site displays, please contact me at vegaskid@vegaskid.net and I’ll get straight on it. You shall not covet a colleague’s serial cable. Get your own and hands off mine! Please add your own suggestions in the comments below. Every morning in Africa, a gazelle wakes up knowing it must outrun the fastest lion, or it will be killed and eaten. Every morning a lion wakes up knowing it must outrun the slowest gazelle, or it will starve to death. It does not matter if you are a lion or a gazelle…when the sun comes up each morning, you’d better be running. The message here is clear. To survive, you have to keep moving, else become extinct. This is so applicable to the world of IT. Things change so quickly. Of course dinosaurs in IT do exist but in today’s climate more than ever, they are struggling to avoid being relegated to irrelevancy. In my opinion, the fable offers far more value if you ask yourself whether you would rather be a lion or a gazelle, figuratively speaking, from the point of view of an IT professional and the information explosion we face on most days. How best to deal with it? Would you rather be a gazelle, trying to be ahead of the curve, having to keep up with every new technology, every vendor’s new product release, every new protocol, read every blog post, twitter feed, RFC, book, listen to every podcast, lab every scenario, attend every event, etc., fearful that you may be gobbled up if you stop? Or would you rather be a lion and filter out the noise, focus on what is relevant, feast on the juiciest knowledge, that which will sustain you, make you stronger and still give you time to spend with your pride, comfortable in the knowledge that you are at the upper end of the food chain? The art of survival is not just about making it through the day. It’s about focussing your efforts in the right place at the right time so you can keep enough energy for the other important things in your life. Be sure to refocus on whatever you are currently doing. It’s less about what you can achieve on a day to day basis but rather what you can sustain throughout your career and life.